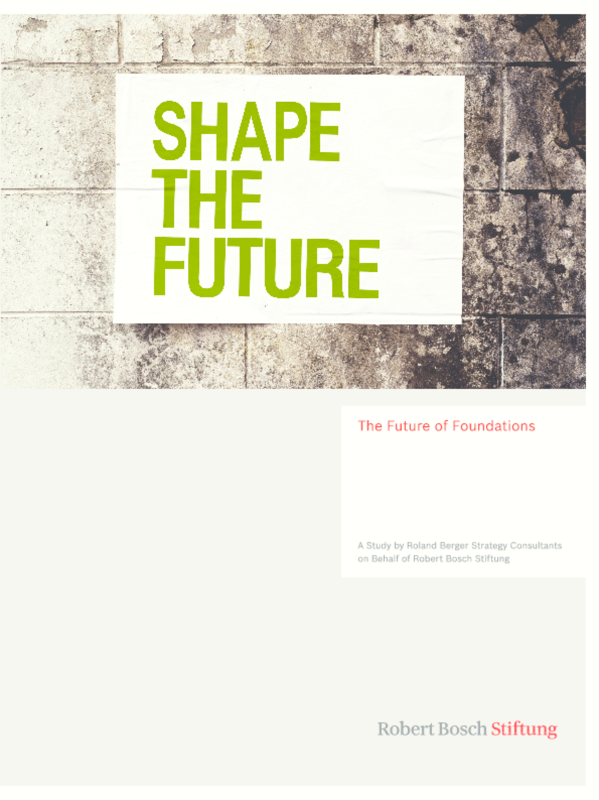 The Robert Bosch Stiftung decided to use its 50th anniversary as an opportunity to examine the future viability of the foundation sector. The question of the "Future of Foundations" is initially a question of the potential of foundation activities and then of professionalism. How do foundations need to position their organization and their work to use the resources available in the best way possible for the good of society? Roland Berger Strategy Consultants conducted this study offering an entrepreneurial perspective on the foundation industry. As part of the study, a number of interviews and discussions were held with notable professionals and experts from the world of foundations. A bibliography is included at the end of the document. Copyright 2014 Robert Bosch Stiftung.